Awe…Abbey Girl loved her daddy! 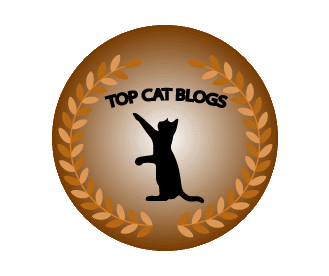 Flashbacks are always fun…..they were beautiful tabbies! Yes they were and they are missed. That said, I enjoyed seeing this photo from the past of Abbey and Alex together! I think you made a good decision, too, Charles. Thanks. It happened again a year later. My mother inlaw adopted a cat, Tigger, but the shelter called and wanted him back because his brother, Flash, was distrought without him. Since the mother inlaw didn’t want two cats we took them both. Are these Abbey and Alex your first cats? No, there was Sneakers, Vinny and Princess before them but we lost Vinny. I’m glad you adopted both of them. They were both great cats so it worked out well. 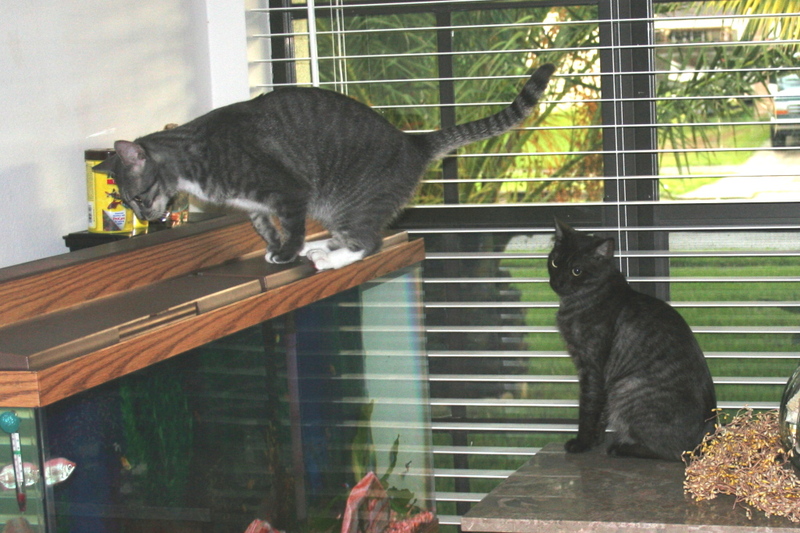 Actually “getting the fish” might be a 2-cat job…. Did they ever manage it?? No but they got an A for effort.